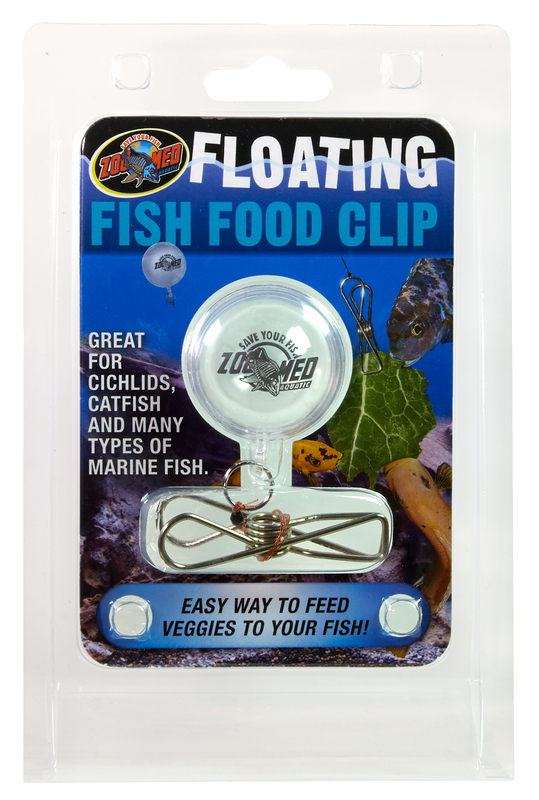 Feed your fish on their level with the Zoo Med Floating Fish Food Clip. This Food Clip bobs below the water’s surface, allowing a more natural and secure eating environment for your aquatic friends. The Floating Fish Food Clip provides an easy way to provide veggies and dried seaweed to your fish. Great for cichlids, catfish, and a wide variety of aquatic animals. The clip’s metal components are made of stainless steel, resulting in a long product lifespan as long as the clip is removed from the aquarium and rinsed after use.